We are celebrating! 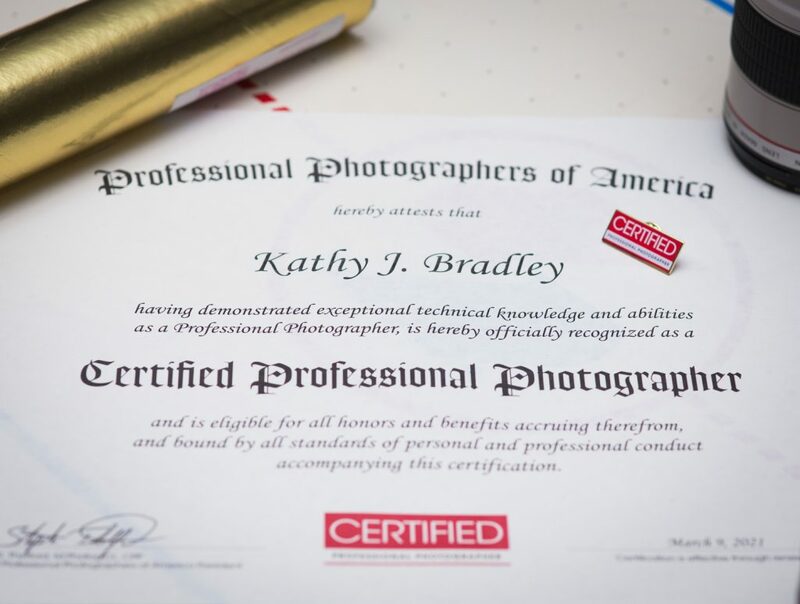 I recently completed a journey and was awarded status of Certified Professional Photographer (CPP) by the Professional Photographers of America. It is a big deal because of the many hours of education, preparation, and practice it has taken to prepare for the certification process. I have always loved taking pictures, but when I decided to start a business, I knew I wanted to be able to deliver the best to my clients. It seems like everyone is a photographer these days, but while anyone can take a good picture in certain conditions, being able to consistently deliver quality in any circumstance is more challenging. Hiring a CPP insures that you not just getting someone with a nice camera that takes good pictures. It means that you are hiring a true professional who has the knowledge of equipment, lighting, and posing so that you will receive quality images in all circumstances. It is what you deserve when you are spending your hard-earned money and when capturing the memories with quality are important! The Certified Professional Photographer credential was started in 1977 as a way to identify professional photographers who have demonstrated technical competence through a written exam and photographic image submission. The certification process requires a rigorous 100 question exam. Then photographers must pass a portfolio review by photographers who are recognized to be top in the profession. The portfolio must include 6 compulsory images demonstrating specific technical expertise in specific areas and 9 additional images from client work. Portfolios are reviewed for quality and consistency. CPPs must also renew every few years insuring that they maintain high photographic and ethical standards. There are only 2,500 CPP’s in the US and less than a handful in the Rocky Mount area. Find out more about CPP’s at https://www.ppa.com/benefits/education/certification/why-hire-a-certified-professional-photographer.